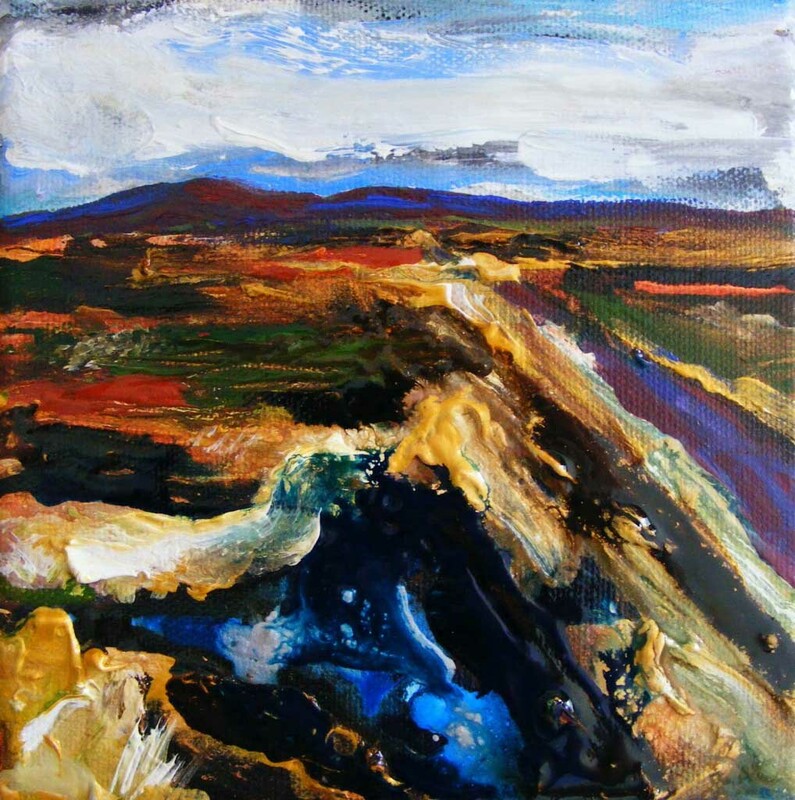 This is a bog landscape I’ve been working on as it has progressed. This is how it looked after the first sitting. The colours were true in the sense that the landscape did seem a lovely pale colour when I squinted my eyes. However, I felt that the overall appearance of the painting at this stage was quite flat. I decided that it needed more contrast and I also needed to dilute the horizontal brown lines on the left which are distracting because they are parallel with the edges of the canvas. I darkened the middle background of the canvas by adding more gold, orange and some green. 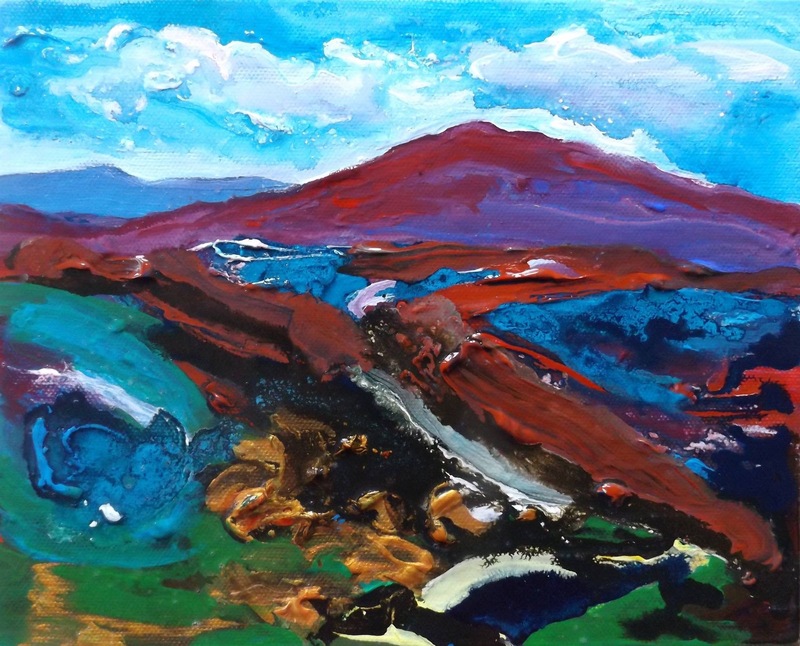 Then I brightened up the sky with some blue and added more paint and detail to the foreground. I’m calling this one finished. The golds and browns here remind me of the raku glazes I used when I made pots. There is a lovely element of surprise with ceramics (especially raku) when the glazed pot is revealed – I will write a post about my work as a potter soon. When I use paint and ink together as I have done here, I get a sense of this as the result is not entirely predictable. I love the way the colours bleed in to each other and this sometimes has a depth about it that is like looking at the fused layers of glass and colour on a glazed pot. 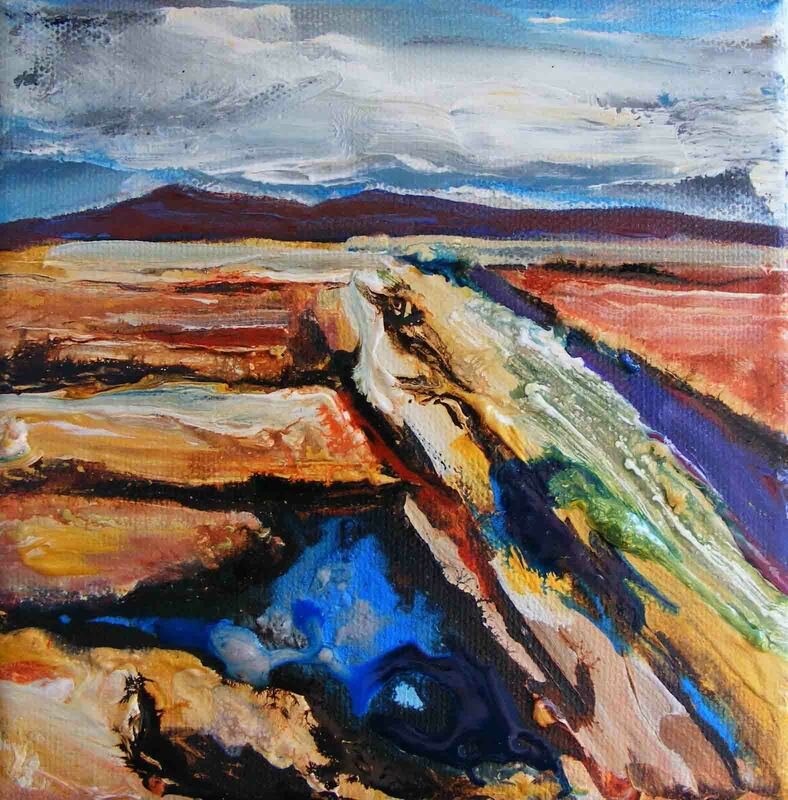 This entry was posted in Paintings and tagged acrylic ink, acrylic paint, bog, canvas, connemara, deborah watkins, landscape, lavelle art gallery, painting.